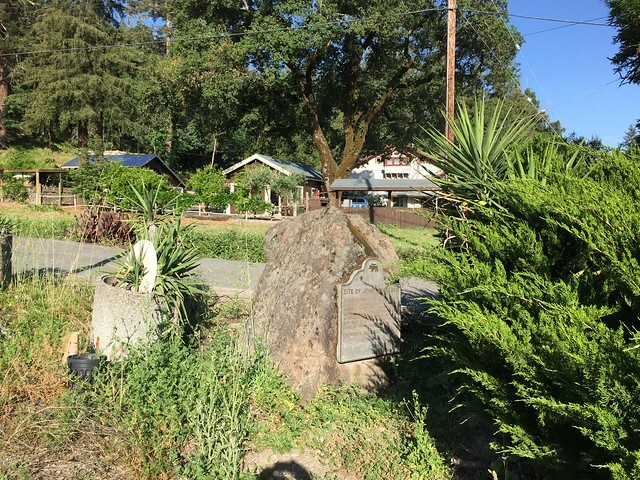 This landmark is located southwest corner of Highway 29 (Foothill Boulevard) and Lincoln Avenue, Calistoga, California. There are 16 other California State Historical Landmarks in Napa County. The GPS coordinates for this location are N 38° 34.506 W 122° 34.838. 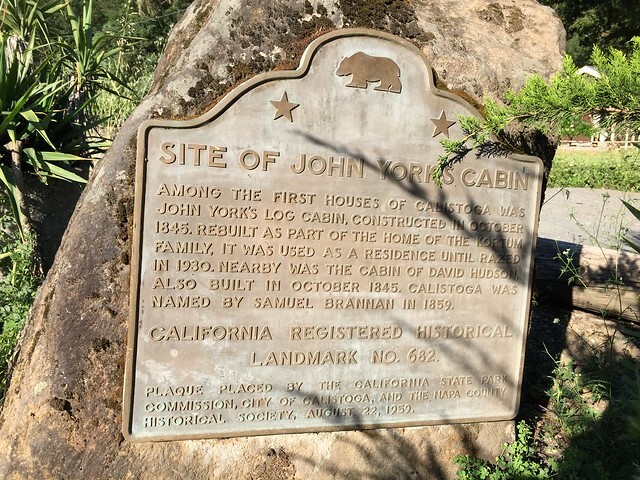 Among the first houses in this area was John York's log cabin, constructed in October 1845. Rebuilt as part of the home of the Kortum family, it was used as a residence until razed in 1930. Nearby was the cabin of David Hudson, also built in October 1845. Calistoga was named by Samuel Brannan.